Posted by Tantumblogo in Admin, disaster, sadness, scandals, Society. …….with a particular focus on the need for modest dress, especially among women. Yes, men must dress modestly, too, but for two key reasons, the issue of modesty is dress has always had a particular urgency for women more than men. First, while men may occasionally dress immodestly, both culturally and from a standpoint of human biology, it is much more common for women to do so. They have more to show off, as it were. Secondly, men are much, much more influenced by what they see, in the sense of temptation against the 6th and 9th Commandments, than women. Men are extremely motivated by visual stimuli, especially of a sexual nature. Thus, as father notes, men are normally much more affected by immodest dress, than women. This all has to do with charity towards our neighbor. A young lady may want to flaunt what she’s got, but whose interests is she serving if she insists on doing so? Is anyone being hurt? She may think not, but the priest indicates that there is great potential for harm. The sermon also touches much more generally on what constitutes charity and scandal, and fleshes out those concepts for us. It’s pretty brief, at about 10 minutes, and I believe a helpful and edifying reminder (for many of us – if it’s new to you, all the better). I can’t remember when Father gave this sermon, I must have heard it. I’m thinking it was a few years back. No, he defines what it means to be a future suicide*. First of all, that kid’s got a big uphill battle just from the standpoint of nature. Secondly, little boy, and the twisted mother/parental unit foisting this sickness upon you, you are being used, and will be broken and consumed, as nothing more than a tool to the radical leftists who simply want yet another means to inflict a horrible wound on the Western Civilization they loathe. I am so very sorry for the pain you so obviously feel. It breaks my heart to see such a young boy in so much pain and confusion. It will only get worse unless you get healing through the only Source that can truly heal us, our Eucharistic Lord Jesus Christ. In a totally unheard of turn of events, this boy is the product of a never-married single mom who resides in NYC, who just happens to have numerous sodomite male friends. Only late stage societies near the point of collapse have ever, historically, had large subcultures of transgenders. Societal acceptance of such has typically been one of the final signs of impending collapse. Crazy right wingers didn’t say that – leftist and self-identified “trans” Camille Paglia did. *-those afflicted with the perversion of “transgenderism” are orders of magnitude more likely to commit suicide than the general population. Indeed, by some measures, nearly 1/4 of self-identified “trans” will successfully kill themselves. 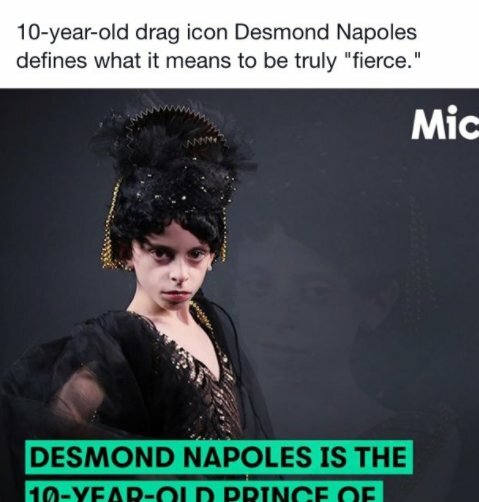 Since this boy is being so heinously exposed, commercialized, and used at such a young age, the trauma he is experiencing is even greater than the vast majority of other trans-types. Thus, his likelihood for severe emotional/mental damage and desire to take the pain away by any means is almost certain to be much greater even that “regular” trans. Of course, all things are possible with Grace, and I pray for his conversion from this lifestyle plainly and repeatedly condemned by St. Paul. Posted by Tantumblogo in Art and Architecture, awesomeness, Basics, catachesis, episcopate, fun, General Catholic, Glory, Grace, Interior Life, Restoration, the struggle for the Church. 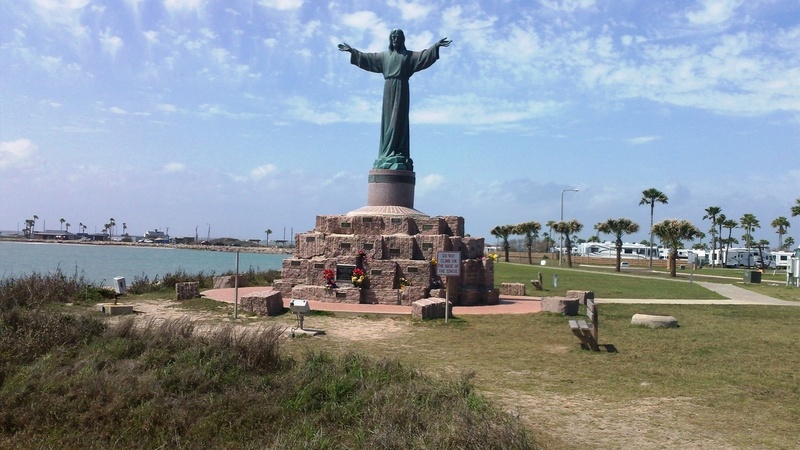 “Christ of the Fishermen.” Reader LaGallina sent me the following description of a beautiful bit of Catholic culture, placed where the Brownsville Ship Channel meets the Gulf of Mexico (roughly). LaGallina also apprised me of Francis’ elevation of a Father Mario Alberto Aviles to be auxiliary Bishop of Brownsville. This is noteworthy for the fact that Fr. 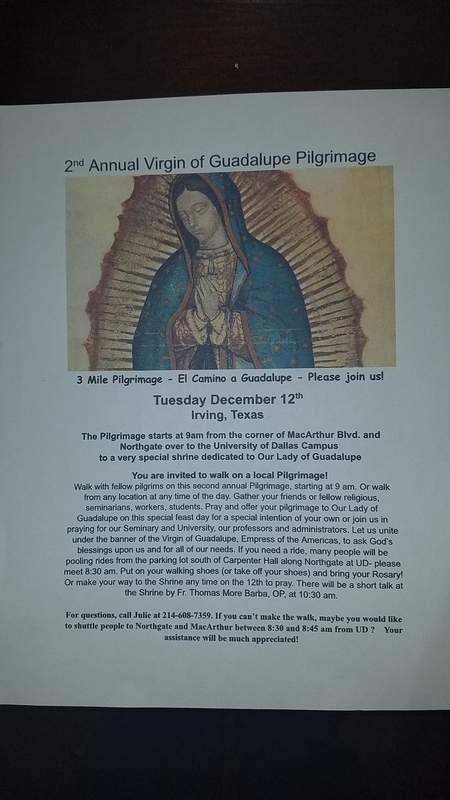 Aviles comes from the Oratory of St. Philip Neri, which operates one of the few “canonically regular” TLM in the Rio Grande Valley area (the only other one of which I am aware is at the Brownsville cathedral, if that one is still going. Perhaps LaGallina can confirm). Bishop Daniel Flores of Brownsville is reputed to be pretty solidly orthodox and relatively friendly to the TLM. Coming from a branch of the Oratorians based mostly in northern Mexico which is widely known for its liturgical and doctrinal orthodoxy (though it is quite small), it may be hoped that Bishop-elect Aviles may increase this disposition even more. I know several readers who have assisted at the St. Jude Thaddeus parish in Pfarr administered by the Oratorians, and they all speak highly of the beautiful TLM and solid catechesis offered there. However, it should be noted that Bishop-elect Aviles hasn’t been pastor of St. Jude Thaddeus for 15 years, so I cannot really speak to his personal qualities or adherence to tradition. I am told he seems down to earth and pretty solid overall. 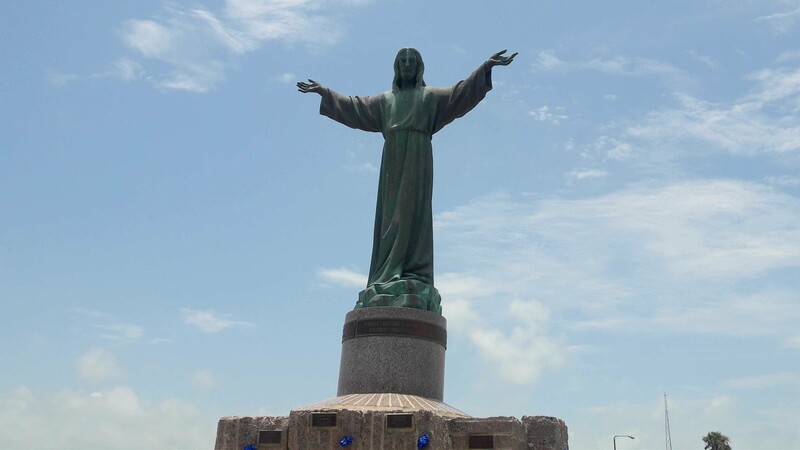 Statues like this, and even entire parishes, have long been dedicated to Catholic mariners in major ports around the world. For my money, one of the most beautiful parishes in the world, Our Lady of Bon Succours in Montreal, has a heavy nautical emphasis and a close association with the maritime trades. Why, several of the Apostles including St. Peter were, of course, pescadores, themselves. It’s another aspect of the still heartbreakingly deteriorating Catholic culture that deserves widespread revival. 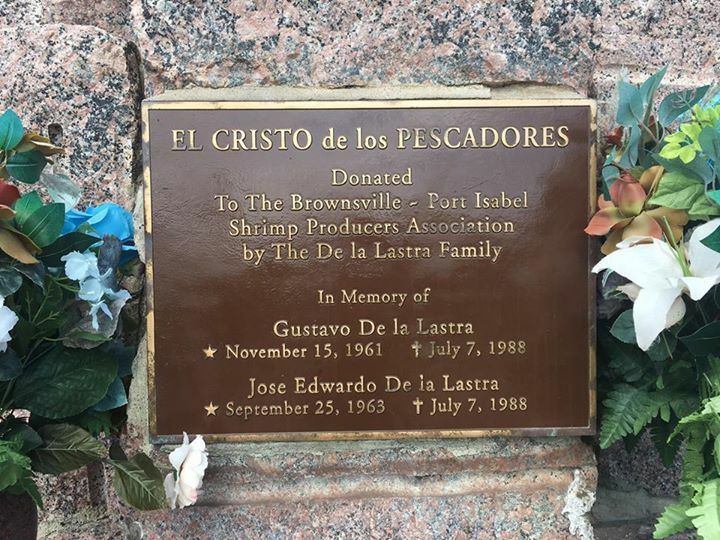 Good on the family for dedicating a lovely statue like this to the shrimpers and other seafarers of the south Texas coast. Posted by Tantumblogo in abdication of duty, asshatery, Basics, cultural marxism, disaster, error, foolishness, General Catholic, rank stupidity, reading, sadness, scandals, sickness, Society. …….and of those who can name an author, the vast majority of those name Danielle Steele, Stephen King, or some other living, pulp fiction writer. A substantial majority fail to name a single major literary figure. So, the planned dumbing down of the West’s population, addicting them to the bread and circuses of the elite, continues apace? There is no way educational systems this bad have not been deliberately contrived, especially after – or perhaps, because of – the trillions of taxpayer dollars pumped into them. Common core? Give me a break. More effective methods were available over a century ago in Catholic National Readers. Last fall, Pew Research found that 27 percent of Americans had not read a book in the preceding year. Unfortunately, our friends across the pond aren’t much better in this respect. According to a 2014 survey, roughly 26 percent of adults in Great Britain admitted to not reading and finishing a book for pleasure. Much of the world in which we live today is laid upon a foundation of knowledge. These ideas can be found in the great literary works of William Shakespeare, Jane Austen, Charles Dickens, and other men and women who are no longer with us. If many in today’s society can’t even name these authors, how can we expect them to participate in the “Great Conversation” of ideas, insights, and knowledge which still have profound effects on us today? We can’t. And that would be the point, my dear. A population so ignorant is one that cannot think for itself, and must be led by the hand by its self-anointed “betters.” Interestingly, however, in many cases the anointed are among the most ignorant among us, if the media and academia are any indication. Oh, they know like religious mantras the left-liberal propaganda they’ve been indoctrinated in, but they are wholly ignorant of great sweeps of subjects, from history to geography to philosophy to theology…….you get the point. The SAT and other deformations to our educational industry have created generations of clever regurgitators and test-takers who are thus marked, like a superior caste, for the college start of the path of elite credentialization that will chart their course to the new aristocracy, but not intelligent people who can think. In fact, most of these JournoList types are blithering idiots, and prove it constantly. I still want my chain saw bayonet option for the AK! Present company excepted, of course, as I ride my high horse off to my ivory tower. Reason number infinity plus one to homeschool. One of the innumerable things of which I am proud of my kids, is that they are almost all avid readers. The “least” of them is quite above average, while some are absolutely voracious and hard to keep stocked with books. Having learned to read phonetically, they can read much faster than I can, and easily devour 2 or 3 books in a day. Half Price Books loves us. Posted by Tantumblogo in awesomeness, Basics, catachesis, Domestic Church, General Catholic, Glory, Grace, Latin Mass, Liturgical Year, Novenas, priests, Restoration, Tradition, true leadership, Virtue. A nice sermon from Padre Romo, who I guess I can identify since his website does the same. As someone who has struggled with addiction to drink and drug, I always find the Catholic approach to the consumption of liquor and other intoxicating substances so wonderfully balanced and reasonable. While I, due to my past excesses and the tendency, over many years, I developed to consume intoxicants to a sinful extent, can no longer partake of any drink or mind-altering drug, I appreciate the fact that the Church does not take the position of some protestants or the non-Christian Mormons, who excoriate all use of drink as sinful. That is not the case. How could it be, when our very Lord Himself confected wine out of water, when He uses wine as a means of transmitting His very being, Body, Blood, Soul, and Divinity, in the Blessed Sacrament? The issue, of course, is moderation. Like all goods, they can be abused if consumed immoderately. This may be basic for some, but I find in this sermon many helpful reminders, and a particularly timely one during this penitential season of Advent. Speaking of, have you charted out a plan of penance for Advent? Lenten penances get so much focus, but Advent as a penitential season is almost universally forgotten. I was particularly heartened and edified by the sermon a priest at out local parish gave this First Sunday of Advent on that very topic -what were we going to do for penance in this penitential season? 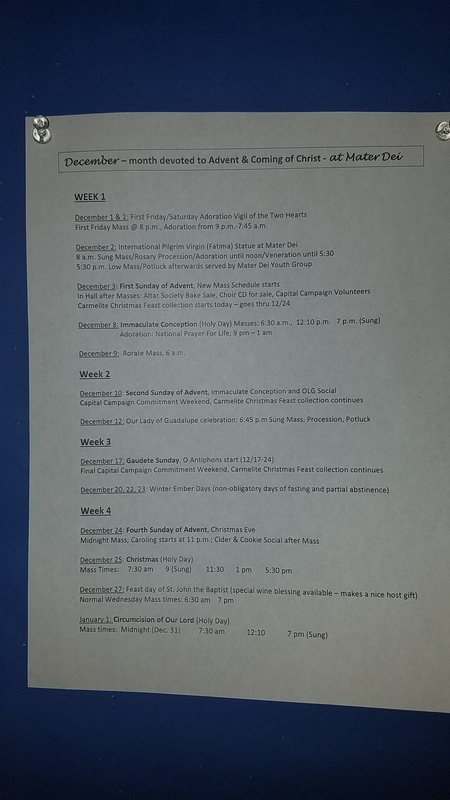 I’m particularly glad this year that my vacation schedule will start right before Christmas and then go through the 7th, meaning I am off work the entire 12 days of Christmas. Thus, I hope to use Advent as the time of preparation for the joyous time to come, just as we should use this life as our time of preparation for our real life, or eternal life, which we pray will be in Heaven. Posted by Tantumblogo in Abortion, contraception, cultural marxism, family, fightback, General Catholic, It's all about the $$$, persecution, scandals, secularism, self-serving, sexual depravity, sickness, Society, Spiritual Warfare, the enemy. I like Marjorie Dannenfelser and the Susan B. Anthony List. They do a lot of good work. But perhaps I’ve gotten a bit jaded over the past decade-plus of pro-life activism. Leaders of pro-life institutions like the Susan B. Anthony List have had a history, one might even say made a bit of a career, out of blowing a lot of happy gas. We are frequently told abortion is just about to be defeated. This next major (really minor) legislative victory will have a huge impact and just about end legalized abortion. Etcetera, etcetera. Of course, interest groups like the SBA List feel they have to do this, to keep supporters energized and donations flowing in. And certainly, it’s hard to keep a movement organized and involved after 50 years of a legislative and judicial status quo that keeps abortion on demand at any time throughout pregnancy (and frequently at taxpayer expense) basically the law of the land. Whether they really believe all their PR, I don’t know. ………The Senate Judiciary Committee and the House Select Investigative Panel on Infant Lives spent almost one-and-a-half years conducting a national investigation, reviewing 30,000 pages of documents, and hearing hours of testimony. Then came the second punch. Just as news of the FBI inquiry broke, the 8th Circuit U.S. Court of Appeals declined to revisit its ruling that the state of Arkansas can redirect Medicaid funds away from abortion businesses like Planned Parenthood, which the state is completely justified in doing considering the ongoing baby parts scandal. Trump has busily set about undoing his predecessor’s destructive pro-abortion legacy. He has filled his Cabinet with pro-life officials, and has filled court vacancies with outstanding judges like Neil Gorsuch who faithfully interpret the Constitution. Right away, Trump signed legislation (H.J. Res. 43) rolling back Obama’s parting gift to the abortion industry—something that, on a personal note, I was proud to witness in the Oval Office. The next step is for the Trump administration to issue new guidance to the states restoring their freedom to prioritize Medicaid funds the way they believe will best serve their citizens. The administration must be prepared to defend that policy vigorously should the case go to the Supreme Court. I won’t hold my breath on that last bit. Yes, there’s a lot of good news, but Planned Murderhood has shown itself uniquely – practically diabolically – resistant to bad PR, incredibly damning undercover revelations, and even proof of wanton law-breaking in the past. As I said, PP is one of the Leftist coalition’s most critical members. They would jettison almost anything else before losing the right to murder inconvenient children. While these are happy developments, I would not go prognosticating that Planned Parenthood is about to meet it’s demise, or is even coming under heavy threat. It’s all mostly speculation at this point, and that group seems to have a particularly powerful set of demons watching over it. The kind that only come out by prayer and fasting. Posted by Tantumblogo in abdication of duty, asshatery, cultural marxism, disaster, episcopate, fightback, Francis, General Catholic, horror, reading, Revolution, scandals, secularism, self-serving, Society, the struggle for the Church. The name of this new book is The Dictator Pope, and it is available for purchase online, but only in Kindle and similar e-formats. I look forward to purchasing the book once it is available in print, if a publisher can be found (and believe me, with this pontificate, that will not be an easy task). OnePeterFive has obtained an advance copy of the English text, and I am still working my way through it. Although most of its contents will be at least cursorily familiar to those who have followed this unusual pontificate, it treats in detail many of the most important topics we have covered in these pages, providing the additional benefit of collecting them all in one place. The author of the work is listed as Marcantonio Colonna — a transparently clever pen name laden with meaning for the Catholic history buff; the historical Colonna was an Italian nobleman who served as admiral of the papal fleet at the Battle of Lepanto. His author bio tells us he is an Oxford graduate with extensive experience in historical research who has been living in Rome since the beginning of the Francis pontificate, and whose contact with Vatican insiders — including Cardinals and other important figures — helped piece together this particular puzzle. The level of potential controversy associated with the book has seemingly led some journalists in Rome to be wary of broaching the book’s existence publicly (though it is said to be very much a topic of private conversation), whether for fear of retribution — the Vatican has recently been known to exclude or mistreat journalists it suspects of hostility — or for some other reason, remains unclear. Notable exceptions to this conspicuous silence include the stalwart Marco Tosatti — who has already begun unpacking the text at his website, Stilum Curae — and Professor Roberto de Mattei, who writes that the book confirms Cardinal Müller’s recent remarks that there is a “magic circle” around the pope which “prevents an open and balanced debate on the doctrinal problems raised” by objections like the dubia and Filial Correction, and that there is also “a climate of espionage and delusion” in Francis’ Vatican. Some sources have even told me that the Vatican, incensed by the book’s claims, is so ardently pursuing information about the author’s true identity that they’ve been seeking out and badgering anyone they think might have knowledge of the matter. The Italian version of the book’s website has already gone down since its launch. The reason, as one particularly credible rumor has it, is that its disappearance was a result of the harassment of its designer, even though that person had nothing to do with the book other than having been hired to put it online. Their dour, unsmiling archbishop was turned overnight into the smiling, jolly Pope Francis, the idol of the people with whom he so fully identifies. If you speak to anyone working in the Vatican, they will tell you about the miracle in reverse. When the publicity cameras are off him, Pope Francis turns into a different figure: arrogant, dismissive of people, prodigal of bad language and notorious for furious outbursts of temper which are known to everyone from the cardinals to the chauffeurs. And what was the goal of the St. Gallen group? Originally, their agenda was to bring about a “much more modern” Church. That goal finally crystalized around opposition to the anticipated election of Cardinal Joseph Ratzinger to the papacy — a battle in which they were narrowly defeated during the 2005 conclave, when, according to an undisclosed source within the curia, the penultimate ballot showed a count of 40 votes for Bergoglio and 72 for Ratzinger. Colonna cites German Catholic journalist Paul Badde in saying that it was the late Cardinal Joachim Meisner — later one of the four “dubia” cardinals — who “passionately fought” the Gallen Mafia in favor of the election of Ratzinger. After this loss, the Gallen Mafia officially disbanded. But although Cardinal Martini died in 2012, they staged a comeback — and eventually won the day — on Wednesday, March 13, 2013. For it was on that day that Jorge Mario Bergoglio stepped out onto the loggia of St. Peter’s Basilica, victorious, as Pope Francis the First. Those paying attention would take note that one Cardinal Godfried Danneels of Belgium stood triumphantly by his side. There is much more at the link, but I’ve taken too much already. Skojec will take a tire iron to my shooting hand if I take anymore. But he goes into quite a bit about Francis’ emulation of his youthful political paramour, Juan Perón, and how, aside from a sort of reflexive populist leftism, little informed that man’s career save for his own lust for power. Readers should take from this a cold shot of reality against any hopes that Franky George Bergoglio will follow his predecessor into abdication. Quite the contrary, having access to power will probably lengthen his life by 5-10 years. That’s how these things seem to go. Look at finally deposed 94 year old Robert Mugabe. Also reviewed are the synods, which I would argue were doctrinally meaningless, and the subsequent deconstruction of the Church’s moral edifice through Amoris Laetitia. Sounds like an excellent book. I look forward to reading it, even as I wonder, just what, if anything, of the human element of the Church will be left if Francis lives another 10 years? I fear the Franciscans of the Immaculate are our guide for the future of the Church under Francis. Posted by Tantumblogo in asshatery, Basics, cultural marxism, disaster, error, foolishness, General Catholic, horror, persecution, rank stupidity, scandals, secularism, self-serving, sickness, Society, unadulterated evil. Generally speaking, a sentiment I certainly agree with. There are some exceptions, of course. A handful of still respectably Catholic colleges, for one. But overall, as the article below states (and as Professor Jordan Peterson now makes a regular part of his talks), college as a whole, as an institution, has become an ideologically stultified, racist, misandric, destructive influence on the souls who matriculate therein and the culture at large. Christensen appears to be onto something. The number of students enrolled in American colleges and universities has dropped every year for the past five years. In 2016, the majority of private and public American colleges failed to meet their enrollment and tuition targets. This is possibly the best news I’ve heard all year. And not because I’m against learning or education—it’s because American colleges no longer teach people how to think; they command people what to think, with the constant looming Sword of Damocles hanging over the head of anyone foolish enough to express a dissident thought. American colleges are no longer institutions of higher learning. It would be more apt to refer to them as state-sanctioned seminaries for the secular religion of Cultural Marxism. Instead of strolling out of college with nimbler minds, students now stumble out into the real world with their brains scrubbed clean of the ability to hatch a single independent thought. It’s why no faculty members were disciplined in 2015 when a white student at the University of Massachusetts-Amherst was denied entry from a “Stop White People” luncheon on campus. I’m fed up with self-identified ‘white’s’ daily violence[“violence” = holding beliefs I find offensive. That’s “violence.” And what does a population do when it convinces itself it is constantly under physically violent attack, which these delusional leftists do constantly? They feel wholly justified in their hatred of their persecutors, and lashing out violently at them. But they’ve received no actual violence.] directed at immigrants, Muslims, and sexually and racially opressed [sic] people. The time is now to confront these inhuman assholes and end this now. white masculinity is THE problem for america’s colleges. Bigotry is ugly no matter the color of the person saying it. But get this, this professor would surely absolve herself of being “racist,” because the white-hating Left has defined “racism” as being strictly the province of whites. That’s right, only the devil white man can ever be “racist.” This is supposedly because only the white devil man has “institutional power,” which critique I find rather ironic coming from college professors, students, and administrative hierarchies increasingly dominated by non-whites. As the author of the above noted in a portion I did not excerpt, the percentage of white men on campus has fallen drastically over the past 25 years. In fact, the disappearance of young white men from the campuses on which they are so manifestly made to feel unwelcome is probably THE dominant factor in the collapse in college attendance nationwide. Thus it would be quite ironic if these hateful racist professors and administrators lost their (largely) useless but oh-so-cozy sinecures as a direct result of their own radically racist leftism. A final thought – see the hatred endemic in Leftism, which is endemic in rejection of God. Rejection of Jesus Christ in the West largely started in, and has been sustained by, the academy. The whole rotten structure needs to die. Posted by Tantumblogo in Admin, awesomeness, Basics, Dallas Diocese, Ecumenism, fun, General Catholic, Glory, Grace, Our Lady, priests, sanctity, Society, Spiritual Warfare, the struggle for the Church, Tradition, true leadership, Virtue. Do call Julie if you can help with shuttle driving. Bring your Marian flags, your banners, make this a work of witness! i cannot attend, I will be at work and am using my last unused vacation day for the Immaculate Conception. Since the Feast of the Immaculate Conception falls on a Friday and is a 1st Class Feast, eating meat is allowed, yes?